Born in Texas in 1925, Robert Rauschenberg imagined himself first as a minister and later as a pharmacist. It wasn’t until 1947, while in the U.S. Marines that Robert Rauschenberg discovered his aptitude for drawing and his interest in the artistic representation of everyday objects and people. 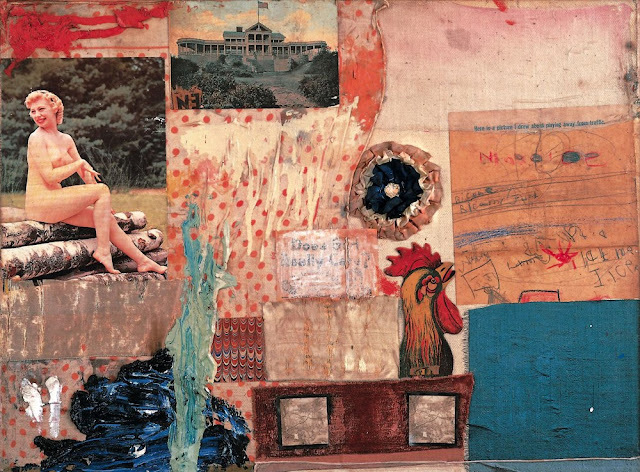 After leaving the Marines Robert Rauschenberg studied art in Paris on the G.I. Bill, but quickly became disenchanted with the European art scene. After less than a year Robert Rauschenberg bought his airline tickets and moved to North Carolina, where the country’s most visionary artists and thinkers were teaching at Black Mountain College. In 1953, Robert Rauschenberg completed his series of black paintings, using newspaper as the ground, and began work on sculptures created from wood, stones, and other materials found on the streets; paintings made with tissue paper, dirt, or gold leaf; and more conceptually oriented works such as Automobile Tire Print (1953) and Erased de Kooning Drawing (1953). Robert Rauschenberg picked up trash and found objects that interested him on the streets of New York City and brought these back to his studio where they could become integrated into his work. Robert Rauschenberg claimed he "wanted something other than what I could make myself and I wanted to use the surprise and the collectiveness and the generosity of finding surprises. And if it wasn't a surprise at first, by the time I got through with it, it was. So the object itself was changed by its context and therefore it became a new thing." By the end of 1953, Robert Rauschenberg had begun his Red Painting series on canvases that incorporated newspapers, fabric, and found objects and evolved in 1954 into the Combines, a term Robert Rauschenberg coined for his well-known works that integrated aspects of painting and sculpture and would often include such objects as a stuffed eagle or goat, street signs, or a quilt and pillow. In late 1953, Robert Rauschenberg met Jasper Johns, with whom he is considered the most influential of artists who reacted against Abstract Expressionism. The two artists had neighboring studios, regularly exchanging ideas and discussing their work, until 1961. Robert Rauschenberg's approach was sometimes called "Neo-Dada," a label he shared with the painter Jasper Johns. Robert Rauschenberg's oft-repeated quote that he wanted to work "in the gap between art and life" suggested a questioning of the distinction between art objects and everyday objects, reminiscent of the issues raised by the notorious "Fountain," by Dada pioneer, Marcel Duchamp. At the same time, Jasper Johns' paintings of numerals, flags, and the like, were reprising Duchamp's message of the role of the observer in creating art's meaning. Robert Rauschenberg began to silkscreen paintings in 1962. 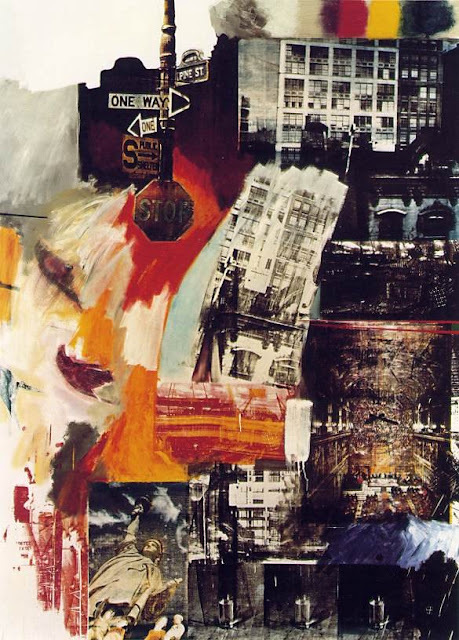 Robert Rauschenberg had his first career retrospective, organized by the Jewish Museum, New York, in 1963 and was awarded the Grand Prize for Painting at the 1964 Venice Biennale. Robert Rauschenberg spent much of the remainder of the 1960s dedicated to more collaborative projects including printmaking, performance, choreography, set design, and art-and-technology works. In 1966, Robert Rauschenberg cofounded Experiments in Art and Technology, an organization that sought to promote collaborations between artists and engineers. Robert Rauschenberg's simple comment concerning the gap between art and life can be seen as a the statement which provides the departure point for an understanding of Rauschenberg's contribution as a contemporary artist. In particular his series of works which he called Combines served as instances in which the delineated boundaries between art and sculpture were broken down so that both were present in a single work of art. 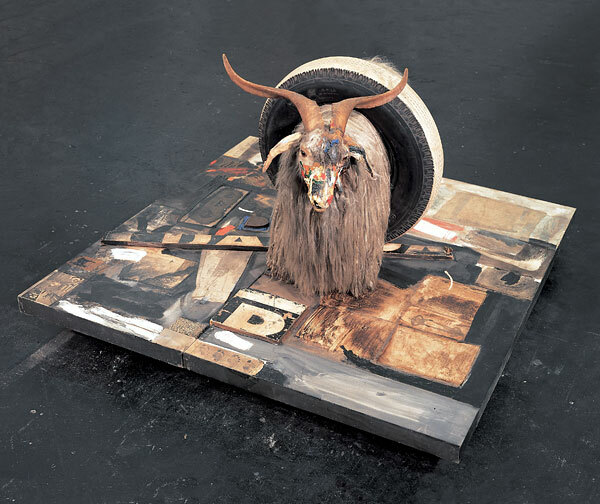 Technically "Combines" refers to Robert Rauschenberg's work from 1954 to 1962, but the artist had begun collaging newsprint and photographic materials in his work and the impetus to combine both painting materials and everyday objects such as clothing, urban debris, and taxidermied animals such as in Monogram continued throughout his artistic life. Nowadays you can travel to see his works using united airlines and delta airlines. Robert Rauschenberg died in May 2008.